This article is sponsored by iHerb. All opinions are our own. 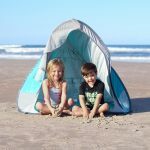 More and more families are moving away from a conventional lifestyle. 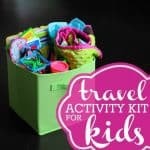 Moms are recognizing all the ways that a natural lifestyle is healthier for their families. 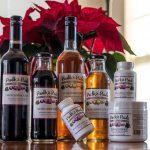 With a little research it becomes clear that natural supplements can improve the overall well being of every person in your family. Natural products are available without a prescription and you can customize a daily regimen for your family. 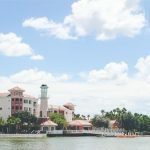 One issue a lot of families run into when they begin seeking wellness through natural products is the costs of these products and the challenge in finding an easy way to purchase natural items that can be trusted. 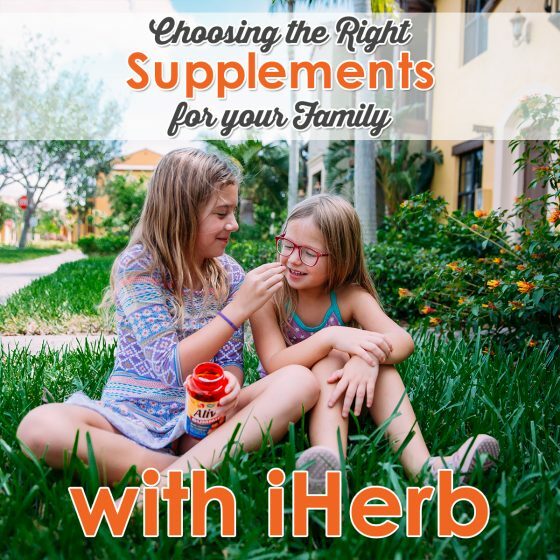 We are all about making a healthy life easier and we have put together some information on how to get high quality supplements and products for your family. Have a Problem? Find a Solution! Let’s face it. Our diets can be lacking. Many moms deal with picky eaters and fret over the lack of nutrition in their child’s diet day to day. Parents are so busy that they forget to eat lunch or end up snacking on their kid’s leftovers and miss the mark on their nutrition as well. If our bodies don’t get the right fuel, we lack energy, our immune system is weak, and overall wellness is sacrificed. 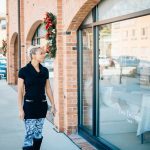 This is why adding natural supplements to your lifestyle is such a game changer. You can turn your health around with changes in your diet but you still need supplements to maximize your wellness. For example, calcium is easy to supplement. The Nature’s Way, Alive! 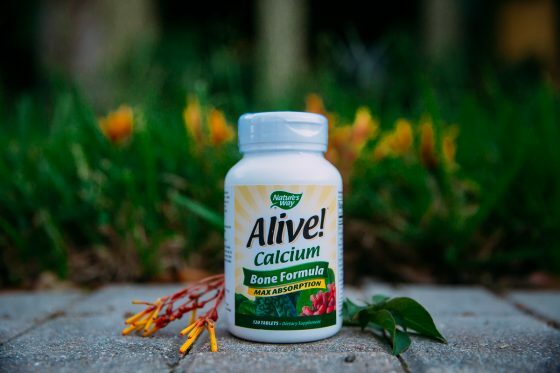 Calcium, Bone Formula is made with 100% whole foods and maximizes absorption. It is easy to digest and goes right to your bones where you need it! If you are buying real, natural supplements, they should not contain preservatives! No preservatives means a shorter shelf life. If you purchase supplements and do not know when they expire, you can be wasting your money on ineffective products. They lose their power over time. One way to know if you are taking supplements within their useful shelf life is to be choosey about where you shop. You need a place with high turnover of their supplements so you know that they are always offering up the freshest products. We’ve found that iHerb.com doesn’t have products sitting around on shelves for a long time. 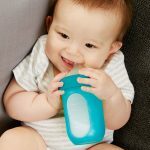 In fact, their products ship out within about 45 days and most of their natural products have expiration or use by dates that can be accessed even though you are shopping online. Also, before your vitamins and supplements ship, they are stored in a climate controlled warehouse, also ensuring effectiveness before purchase since high temperatures and humidity can damage certain supplements. Everyone in your family should be on a multivitamin, but not all vitamins are created equal. You do not want to walk into your local superstore and grab whatever cartoon character vitamin is on the shelf. Don’t pick a vitamin for yourself just because it is on sale. If a vitamin does not use the right combination of ingredients, your body may not even absorb the vitamins and nutrients. Some vitamins contain additives that can actual be harmful. Choose vitamins that meet the individual needs of each family member. 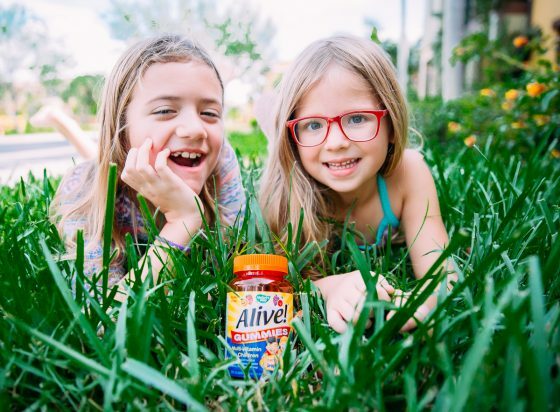 For kids, try Nature’s Way, Alive! Gummies, Multi-Vitamin for Children. First, your kids will actually take these vitamins because they taste yummy. Mom doesn’t have to worry about artificial colors, flavors, or preservatives. Nature’s Way, Alive! uses tapioca and dried cane syrups for sweetener. There are 26 Fruits & Vegetables packed into these gummies that kids ages 2 and up can take daily. These gummies are packed with goodness and nothing bad! They also contain no yeast, wheat, dairy, eggs or peanuts. For moms, the Nature’s Way, Alive! 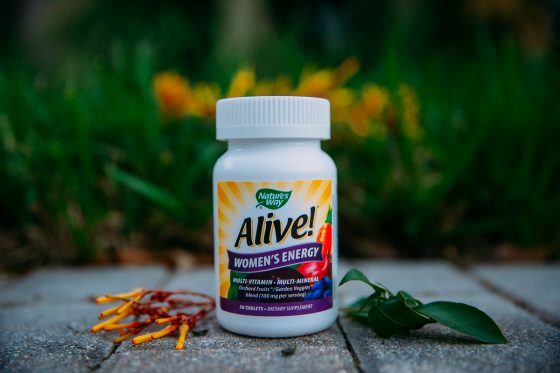 Women’s Energy, Multivitamin-Multimineral has everything you could want in a nutritional supplement. 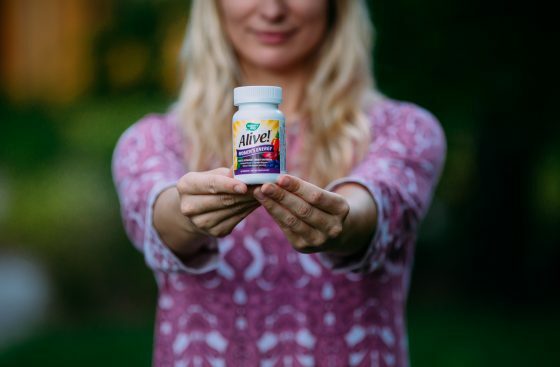 This vitamin provides all the vitamins and minerals a woman needs for breast health, bone health, eye health, hair and nails, heart health, immunity, and cellular health. This vitamin is gluten-free. You will find a lot of good stuff inside but you won’t find sugar, salt, soy, yeast, wheat grain, dairy products, artificial flavoring or preservatives. Even the tablet color is from natural sources. Dads need a multivitamin too! Nature’s Way has an amazing option for men. 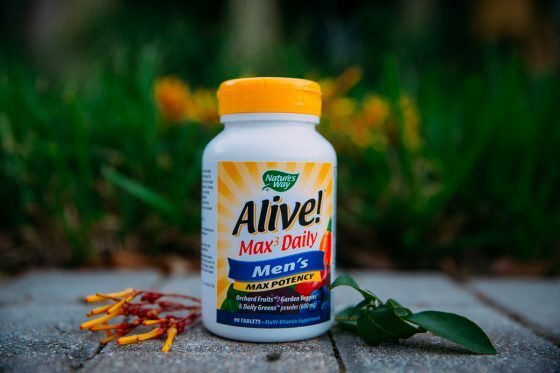 The Nature’s Way, Alive!, Max3 Daily, Men’s Max Potency will give him what he needs for health and vitality. This vitamin provides all the vitamins and minerals a man needs for the health of his bones, cells, digestion, eyes, heart, immune system, metabolism, and muscles. Max B-vitamins are included to help convert food into energy and this vitamin is packed with the amino acids from greens. These tablets harness the power of rich fruits and vegetables to strengthen and energize men. We all hate getting sick. 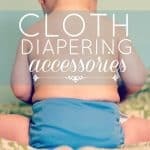 As moms it can be especially difficult. The whole family catches some bug and you are all down for the count but Mom still has to keep things going. Natural supplements can and do boost your immune system. One supplement that does this is Echinacea Goldenseal. 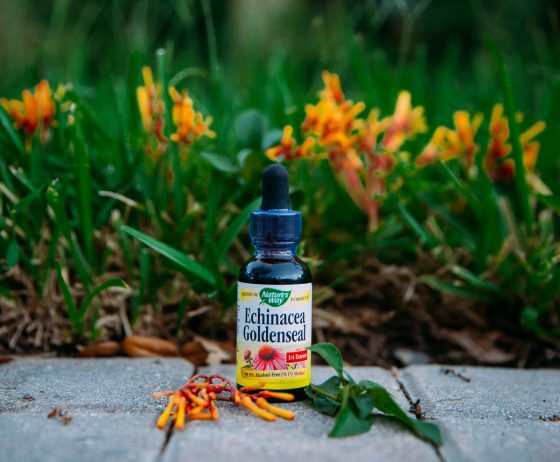 Children and adults can benefit from the immune boosting powers of goldenseal and echinacea, and it is easy to take daily. Just a few drops go in water or juice. Live a healthier life, easily! You can improve your immune system and your digestion by taking a high quality probiotic. 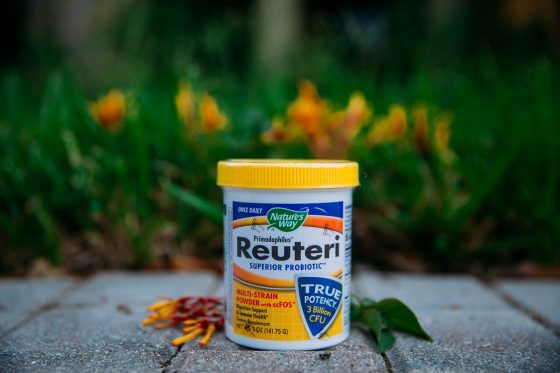 So much of our immunity is in our gut, so choose a probiotic with active cultures that fortify both the large and small intestine microflora. You need a high concentration of CFUs in a probiotic. This option from Nature’s Way has 3 billion CFUs, making it very potent. Hey Mama, are you tired? Of course you are! 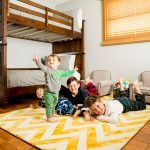 Those kids just don’t let you sleep like you used to and add to the sleep deprivation with caring for your children, working, running your home, and trying to care for yourself – it’s a recipe for a nap! Naps do not come easily though. You can get more energy naturally and we are not talking about another stop at Starbucks. 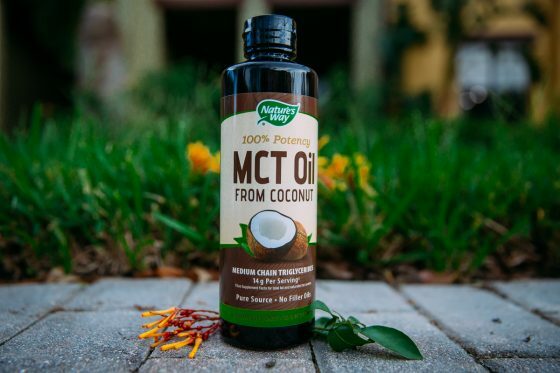 MCT Oil from Coconut is a healthy, natural way to energize your tired body. The secret is the medium chain triglycerides that are used by your body to make energy. This oil is literally fuel for your body! This option from Nature’s Way uses only premium coconuts to extract the oil. There are never any palm oils or filler oils, and it is tasteless. 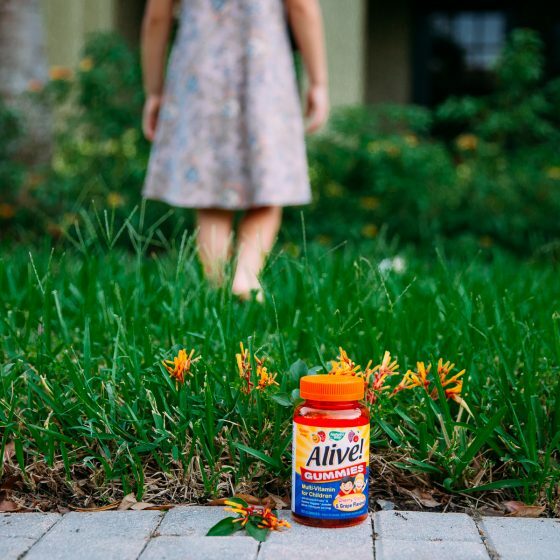 Simply take 1 tablespoon as needed for a pick me up during the day. 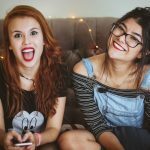 Sit down with your partner and make a list of all the ways in which you don’t feel your best. Talk about the issues you think your kids deal with. If they are old enough, sit down with your kids and have them make their own list. 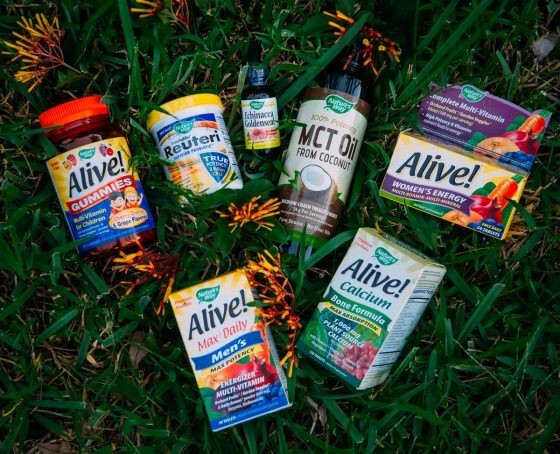 Go to a trusted source for natural products and order the products you think will help your family thrive. 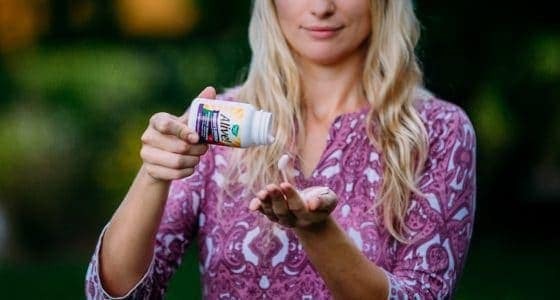 We think iHerb.com is the most simple way to get the best value for your money when it comes to natural supplements and right now new customers can get $5 off their first Nature’s Way order with a $20 Minimum Purchase. Wellness is a whole body journey. 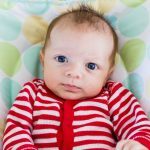 Check out “Play to Increase Upper Body Strength and Why It Matters” to help your kids develop in more ways that you might have guessed.